Amazon has announced the new Fire TV Stick 4K, an upgraded version of its compact and popular Fire TV Stick that, as the name suggests, now supports 4K resolution. It's more than just basic 4K, however. The Fire TV Stick 4K supports all the latest and greatest HDR standards, including HDR-10, HDR-10+, HLG, and Dolby Vision. Audio isn't forgotten, and you now get full Dolby Atmos support. All of this is powered by a new quad-core CPU and a faster 802.11ac wireless connection using a new antenna system. 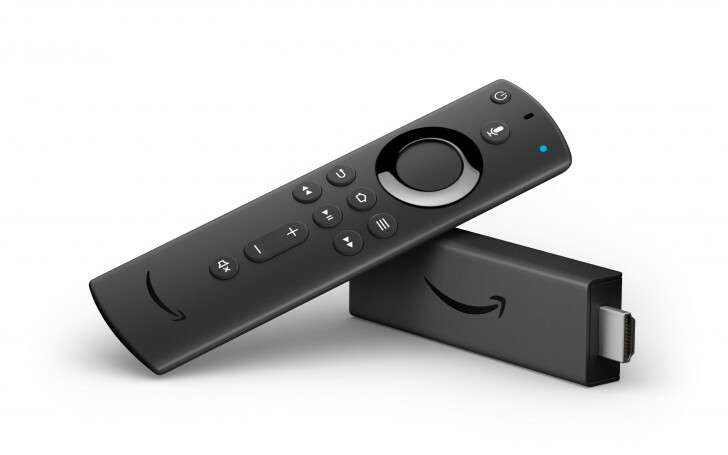 The Fire TV Stick 4K also comes with a new Alexa Voice Remote, which includes Bluetooth and multidirectional infrared connectivity that also works with your television, AV receiver and cable set-top box equipment. It includes Alexa that lets you access content on the Fire TV Stick 4K using just your voice. And it now has volume control buttons as well. You can also buy this remote separately for older Fire TV devices. The Fire TV Stick 4K is priced at $49.99 and will begin shipping in the US and Canada on October 31. Meanwhile, UK, Germany and India will get it on November 14. In Japan, you can pre-order it right now but it won't ship until sometime by the end of the year. The new Alexa Voice Remote can be purchased separately for $29.99 and starts shipping same time as the Fire TV Stick 4K.